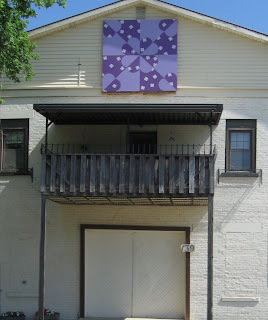 Community quilt squares are a grass root movement in several states mostly in the Midwest. 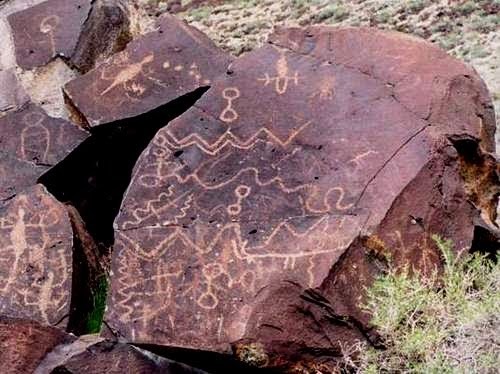 It began in about 2001 in Ohio and has moved swiftly through several states. 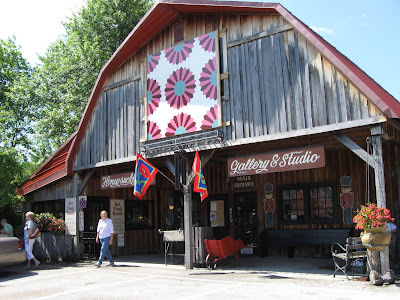 Kentucky's Arts Council Program has adopted this movement and assists folks that want to become participants in the Quilt Square Project. Right now there are over 59 counties in Kentucky participating. 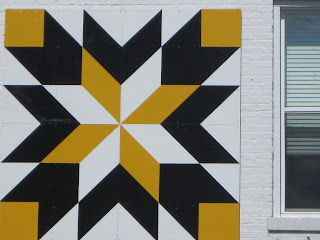 There is a wonderful book published on Kentucky's quilt squares and following trails set up for people to view them -- titled Kentucky Quilt Trails: Views and Voices. 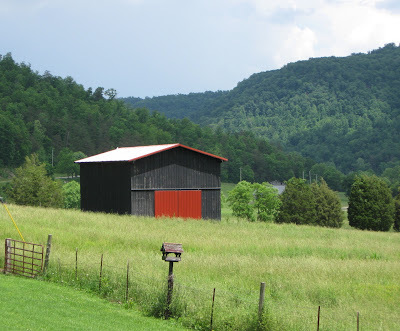 The squares are mostly seen on the large barns in the rural parts of Kentucky. Also, you can find them on some of the smaller farm outbuildings. 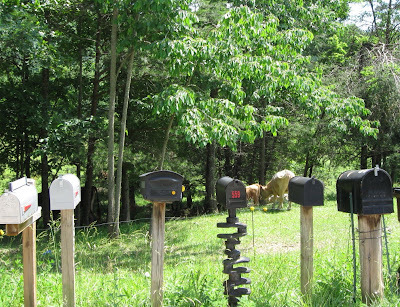 In addition to the farm buildings some local commercial places are mounting squares. 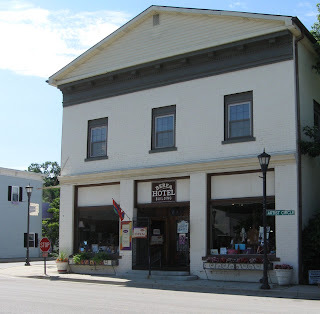 This post covers the squares found on a few of the local Berea merchants. The Kentucky project is basically run by volunteers which helps tighten community ties. Participants include people from the area in designing each individual and different square -- from painters to extension agents, senior citizens and school children -- even the local electric company lends a bucket truck to hoist the squares into place on the building. 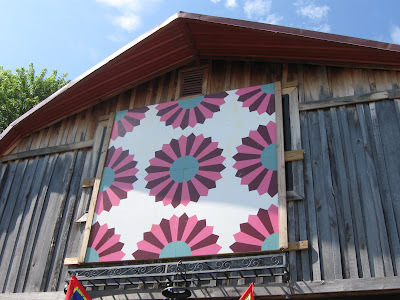 The final result is not only a piece of folk art but a piece of communtiy building. The Kentucky Foundation For Women supports the project as they feel that it becomes a lasting legacy of binding women across place and time. 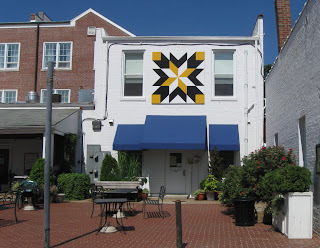 And that the Quilt Trail honors the power of women's art to strengthen families and communities. 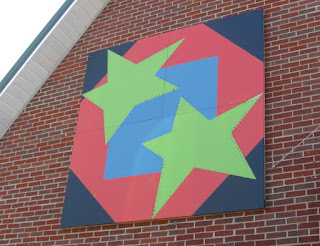 The Madison County Quilt Square project receives grants and donations to make their project viable. 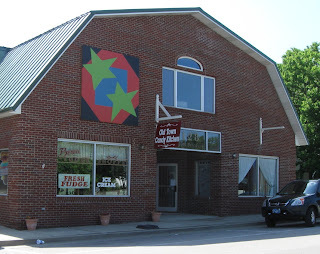 For more information on Madison county's squares you can contact Madison County Extension or Kentucky Arts Council. This scarecrow garden is the first of three home gardens ( all photos taken in June 09) mentioned in this post -- the gardens are the scarecrow garden, the beans and tomatoes garden and lastly the vegetable variety garden. 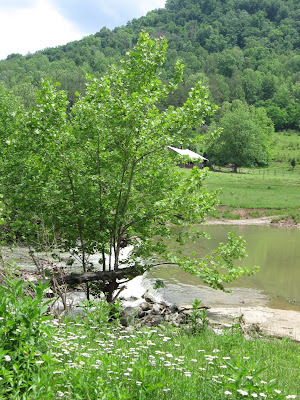 They are being grown in Berea, KY, Madison County. 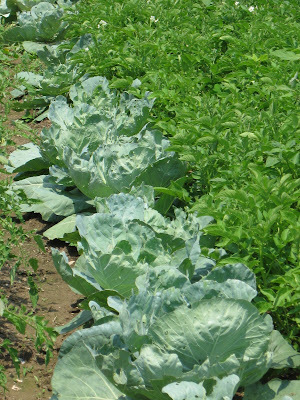 They represent just a few of hundreds of home gardens around the Berea area. 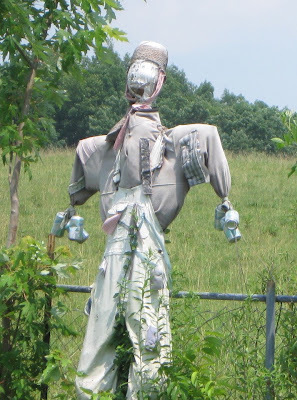 The above scarecrow was homemade by the owner of the garden. 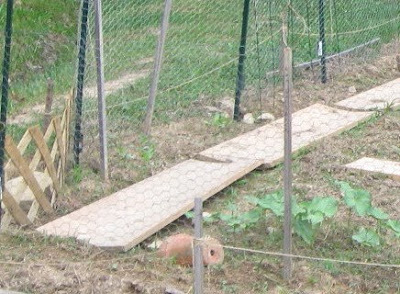 Looks like it works on keeping the birds out as the veggies are doing terrific. Get a load of these beautiful cabbages! They grow under the watchful eye of the scarecrow. 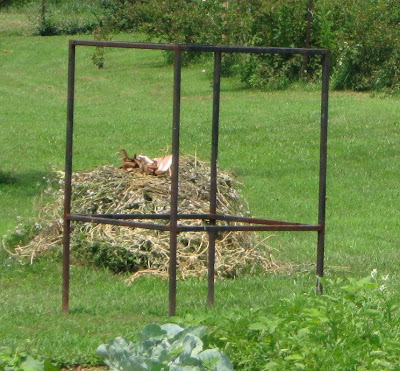 Weeds piled high to be used in the compost pile in the scarecrow garden. This is the backyard garden where the scarecrow at the top lives. An older couple grows this garden. 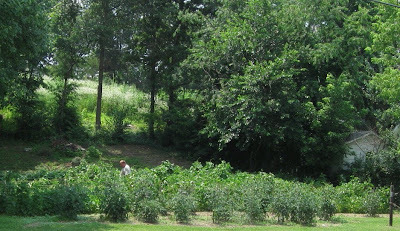 Here is a garden that has grown exponentially with all the rain that we have had in the area. Here the gardener is out tying up climbing beans. The garden vegetables are primarily beans and tomatoes which are canned for winter use. 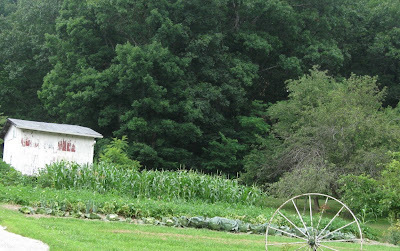 For 15 years this garden has produced all types of vegetables. It is started in March. It is grown by a single man that works full time. Recycling an old way to grow gardens --many gardeners are now using heirloom seeds and also growing home vegetable gardens organically. Lush summer's growth acts as a barrier to my view of the barn across the way. The lane is hidden behind the green flush of shrubs and trees. 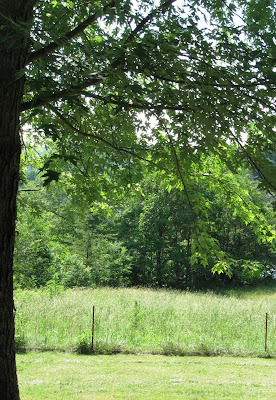 My field is a maze of wildness providing homes and food to the natural life. Leaves on trees and shrubs are filling in my view. 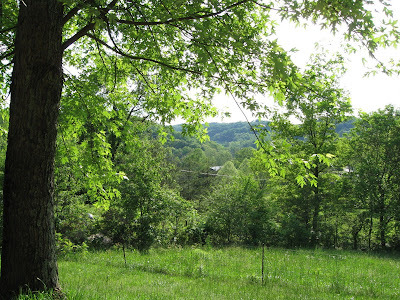 Where once I could see the dirt lane I now see a sea of green and only the very top of the barn roof across the way. 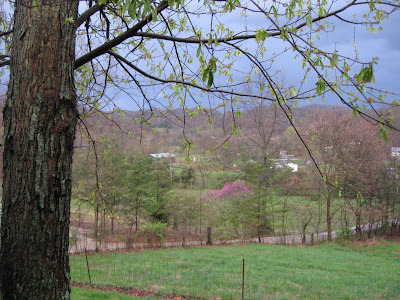 An approaching storm highlights the emerging greens and rose colored rudbuds. The dirt lane divides the land. Restless growth begins to appear in small green patches,. My field beyond the center steel fence line post, seen in this photo, stands waiting for the dormant field to spring up -- he is the divider between my yard and the wild field. A barn can be seen in the distance. Tis the time to be frugal! Our economy is riding through tough times. 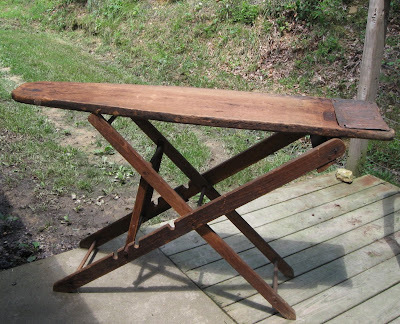 Recently my daughter found this ironing board that belonged to a rural woman long since passed away. 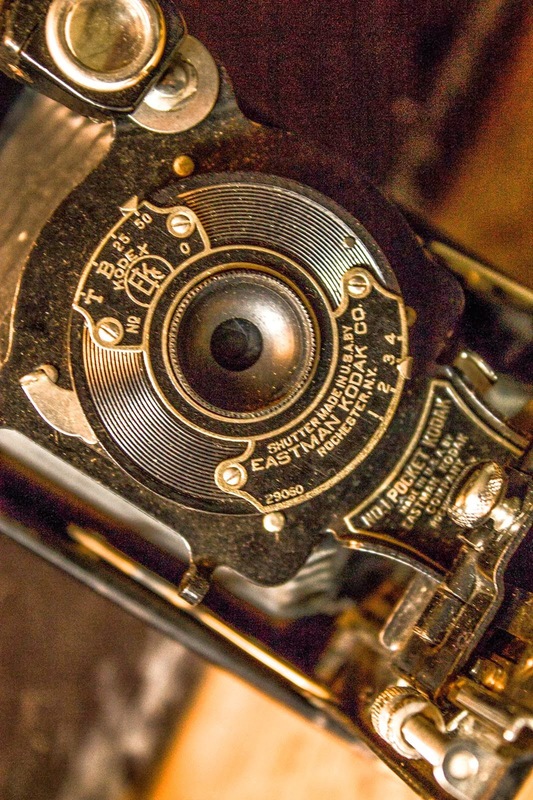 It is a tribute to this original owner's frugality. 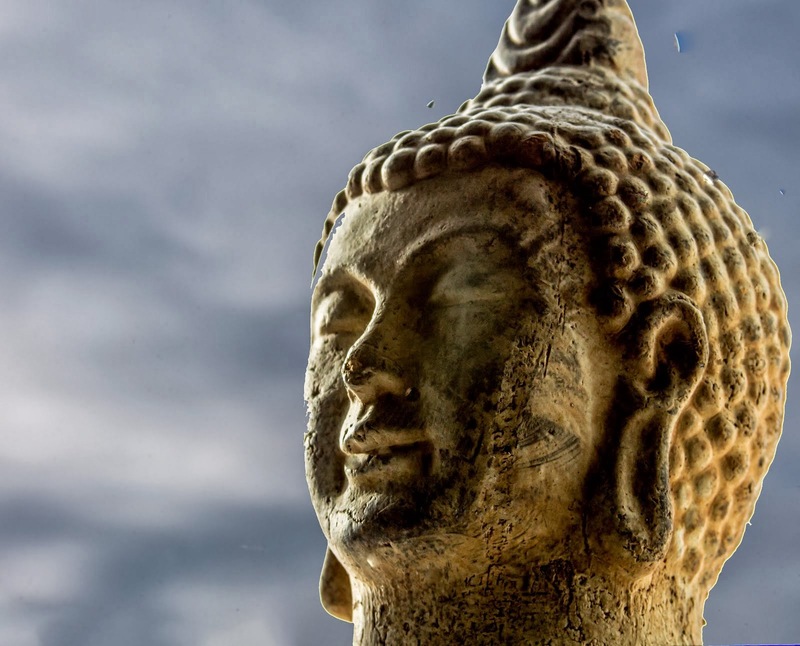 It has a language of its own -- to be read by the observer. The language is symbolized by an ironing board worn over many years use. She had fourteen children. The marks of her hot iron, one you would heat up on the stove, no electric cords, are seen on the end of the top of the ironing board -- right where you would set a hot iron when you were ironing clothes. 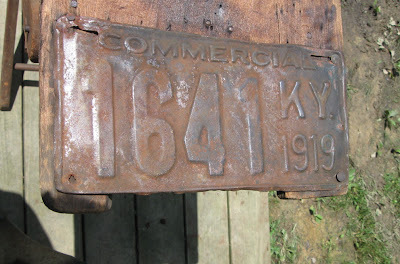 But her true frugality is symbolized by the 1919 KY license plate that she had affixed over the end of the board -- that had become thin and black from constant wear and iron heat -- thus making it usable for many more years. Waste not -- want not. An old adage portrayed by this early 1900s ironing board -- a hint from our past of how we can slide through this economic storm. Yesterday, I was out early in my small garden to weed before the heat gathered its energy to swelter the day. I had put boards down on the pathways to help the freshly tilled soil from compressing. As I stepped on my first board something jumped out from underneath it. 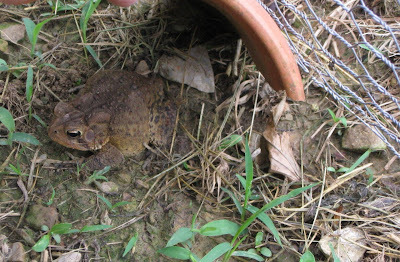 There sitting in the soil was a large American toad. It jumped on one of the boards and turned its whole body and looked my way. "Well hello," I said to the beautiful toad. 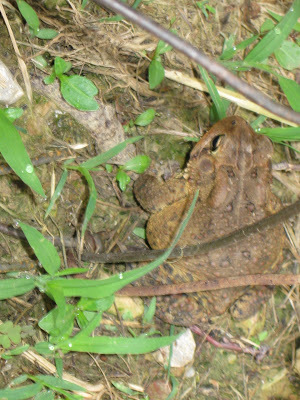 I then walked to another board and another American toad jumped on one of the path boards. "Well, do we have a team here?" or maybe a male-female relationship?" I thought if you are a pair, I definitely have to to give you names to keep you straight in my mind. With that thought in mind I gave them the names of Mildred and Mortimer. M and M -- since they both had a basic skin color that was milk chocolate brown. I lifted the board that Mildred first popped out from under and discovered a small cave-type pile of soil. I could not find the home of Mortimer's. I had an idea. 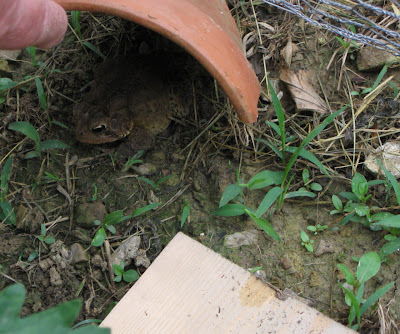 I had heard that toad's use homemade or manufactured toad houses. I quickly found an empty clay-crock and split it lengthwise and viola -- I had two houses for my garden friends. As soon as I put down the homemade crock house next to Mortimer he hopped into it instantly! Mildred snubbed my new housing attempt. She disappeared back under her adopted board. Mildred snubbed my new housing attempt. She disappeared back under her adopted board. Rain has come in buckets almost everyday this spring. Wonderful for the gardens that were planted early in March. 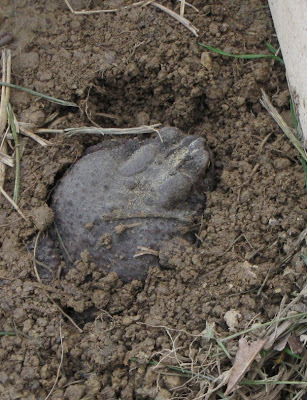 But an unexpected bonus for my garden was that the wet soil provided the best conditions for my toad friends. They could snuggle down in the moist soil giving moisture to their skin. So they are playing a very important symbiotic role with me in my garden. 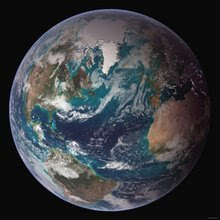 I will assure them water and housing be it board or homemade house and they will eat my insects and grubs at night. A wonderful combination for us. American toads are very impressive controllers of insects, snails, worms and other invertebrates. They protect themselves against predators by secreting a poison from the glands behind their eyes. 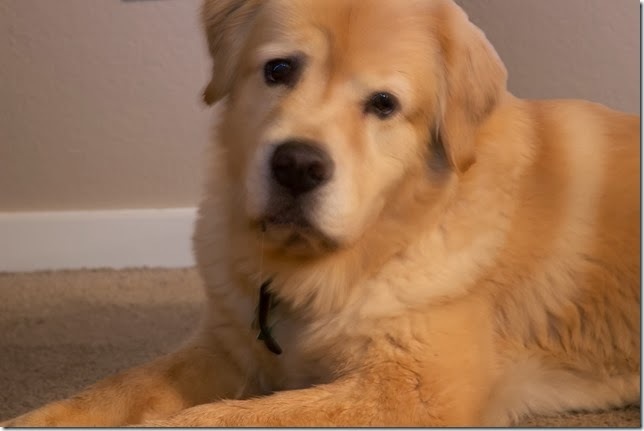 Watch your dogs that they don't try to grab one in their mouth or you might be taking an expensive trip to the vet. Today, I went out to the garden to see if Mildred and Mortimer were still in residency in my garden. Mildred was still under the board with the empty crock house nearby. I lifted the board and there she was all snug in a soil surrounding that she had made for herself. Mortimer was comfortably residing in the crock house across the garden from her. Two hours after my visit to the garden it started to rain. Instantly with the first rain drops -- from my little garden came the male mating call. Oh I think I get it -- its spring and mating time for the toads? Or was it just a joyous song because it was raining? Peaceful valley might be a good name for this Red Lick Creek area in Estill County, Kentucky. I have only lived in Kentucky a year and a half and I am still finding stunning places such as this area within about a half hour from my home. 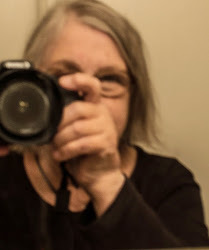 As I cruise down the valley road in my black Toyota pickup, I stop at graveled turnouts, let my eyes wander the landscape and ponder the soul of the place. If one is inclined to great country views this area would contribute much to your psyche. On my latest visit to this area I had some questions about a swinging foot bridge that I spotted off the road leading across Paint Lick Creek. Close by I noticed a brick ranch home with some folks enjoying the afternoon on their side porch and stopped to ask them about the bridge. As always, friendliness is de rigor of the area. Sitting in either a porch swing or wooden chairs was Barbara Cole and her husband Lester, along with her brother and nephew. They proceeded to fill me in on the footbridge. As we talked, I noticed an old chicken house off to the side of the property and asked them about it. 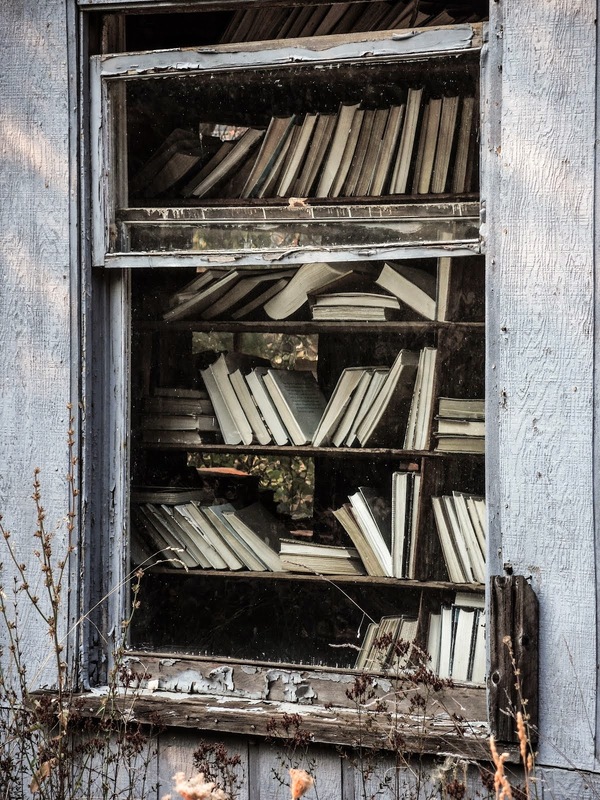 Barbara, a soft spoken woman, knew the history of the chicken house Her parents had once owned the farm. 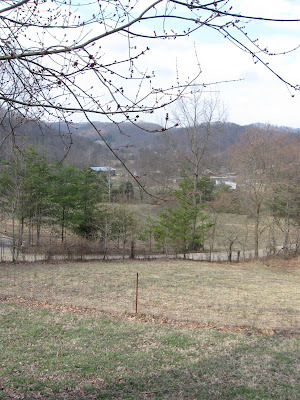 The homestead had been in the family since 1944 when they arrived from Rock Lick Creek in Jackson County, Kentucky loaded down with horses and wagons. They farmed fields of tobacco, corn and vegetables with two mules and a plow until the mid-1960s when they bought a tractor. Her roots are deep in Kentucky -- going back to her great-great grandparents and perhaps beyond. 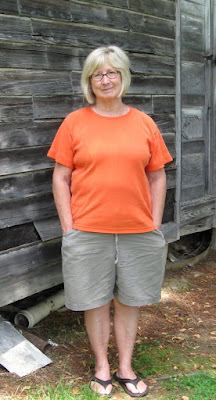 She volunteered her age as 65 although she looked much younger. 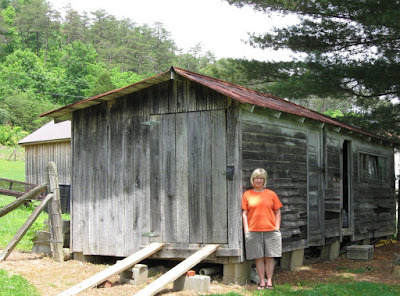 Barbara has a special history with the old chicken house. When she was about ten her father built the house and pretty much put her in charge of the chicken house operation. Stocked with White Rock chickens they contracted with a merchant in a town near them, providing eggs for his business. Barbara gathered the eggs, scaled them for size, packed them 30 dozen to a large cardboard carton and had them ready for the local mailman that picked them up every other day and delivered them to a to the merchant in the town of Irvine. A special country service indeed. He even picked up their freshly churned cream along with the eggs to be delivered to the Irvine merchant. Again, an old country service. Today, Barbara is not a chicken farmer. Her chicken house is used for storage. Its presence is defined by its grayed-- natural wood patina, vertical and horizontal board exterior, two-exterior front doors and a two-room construction interior. She is a fortunate person to be living her life with family and friends in such a spectacular place.